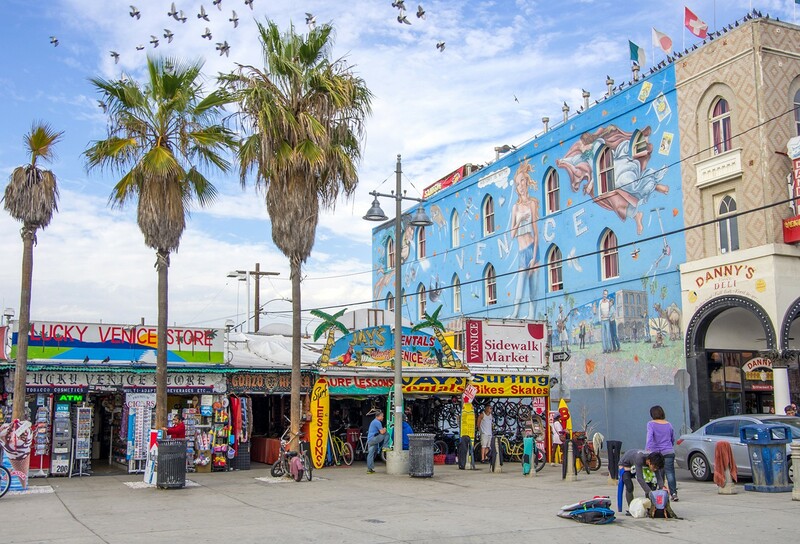 You are here: Home / Lifestyle / If You Have Acne, Make Sure You’re Doing This One Thing! If you have acne make sure you do this one thing every night! I have struggled with acne my entire adult life, and I’m just now (in my late 30s) FINALLY getting it under control! 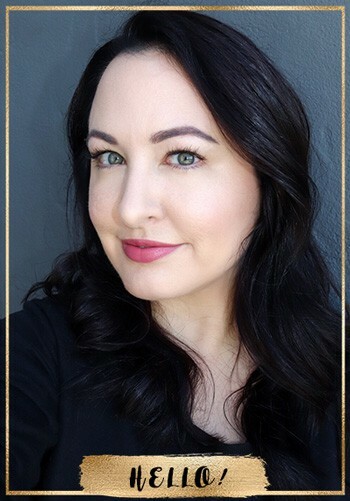 I have talked about my experience with esthetician and acne coach, Emme Diane, before (click here if you want to read about my experience). I have had to make pretty drastic food and lifestyle changes, and I’ve been scanning my skincare and makeup ingredients like a hawk to make sure I don’t accidentally apply any acne triggers to my face! One of the most important things I have been doing every single night is checking to see if my pillowcase needs changing. I know – SO SIMPLE. But, can you honestly tell me you’ve changed your pillowcase every night this week? When you sleep, you leave dirt and oils from your skin and hair all over your pillow. Imagine having your face smooshed into that every single night – super gross, and there’s such an easy fix! 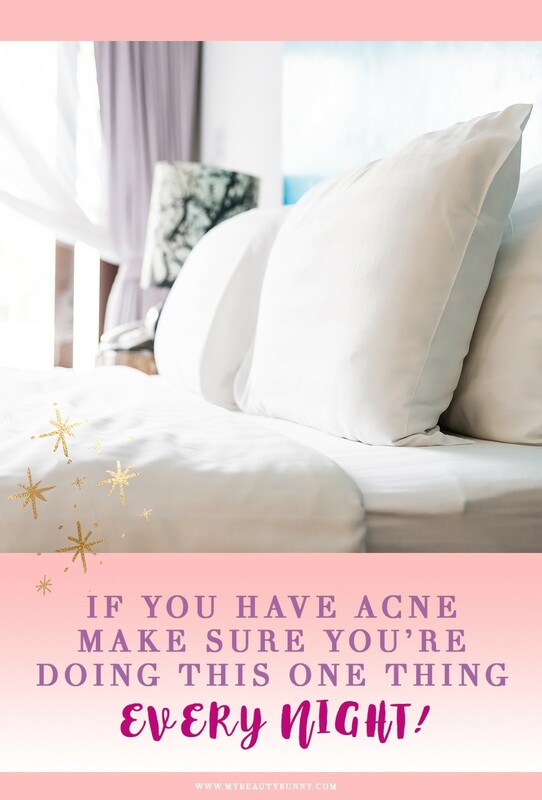 How often do you need to change your pillowcase to keep the acne away? Well, if you have active breakouts, you should change them nightly. If not, you can probably get away with changing them out every 1-3 days (switching sides in-between). To remind myself to change my pillowcase often, I keep a stack of American Pillowcases near my bed. BEFORE I found out about American Pillowcase, I went on Amazon and bought a bunch of pillowcases from some random brand with decent reviews. They were cheap, but boy did I get what I paid for. They were so rough to the touch and just really unpleasant to sleep on. Even my fiancé, who is normally unfazed by such things, didn’t want to sleep on them! So when American Pillowcase sent me some of their luxury Egyptian cotton pillowcases to review, I was thrilled. They are available at Amazon (don’t know why I didn’t see them the first time! ), super soft and very affordable – you can get a two pack of 300 thread count standard pillowcases for $12.99 plus free one day shipping if you have Amazon Prime! They come in seven colors, but I prefer good ‘ole white because they go with all of my sheets and duvet covers. These are hypoallergenic and seriously fancy hotel quality – I’m totally on board with these pillowcases! I highly recommend getting the American Pillowcase Pillow Protectors to go under your pillowcases. 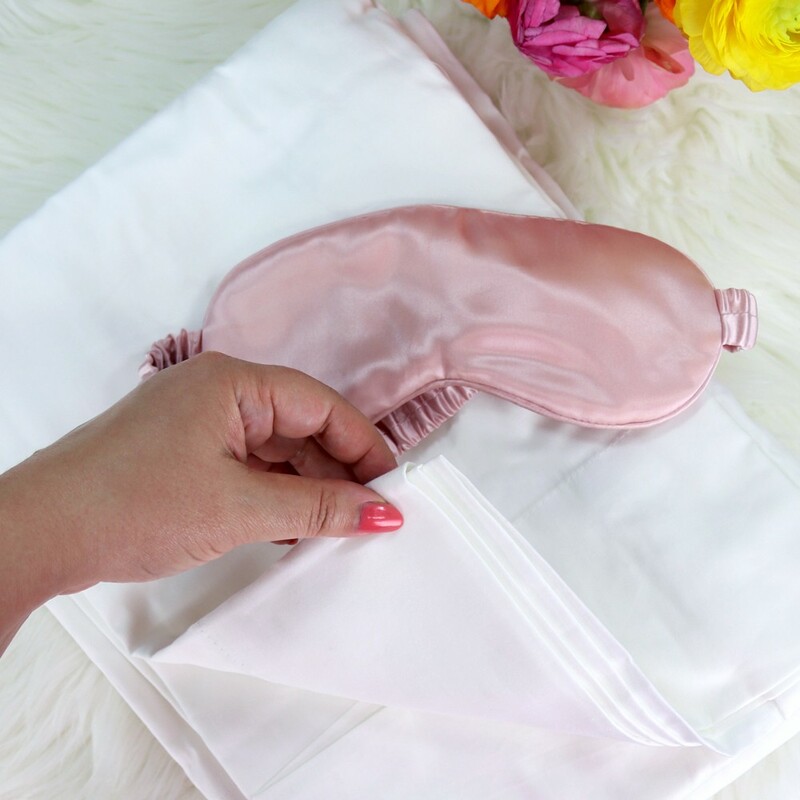 These zip on, surrounding the pillow completely, and keep all the dust mites, bacteria and other allergens away from your face! They are waterproof and bed bug proof. They have a terry cloth cover, so they feel soft and don’t rustle or make noise when you turn your head. They are also machine washable. I wouldn’t even think of NOT covering my pillows – it’s just gross! You can get a pack of two pillow protectors for $15.96 on Amazon. I put new pillowcases on about once a year. These pillow cases sound, and look, amazing! Changing, and washing, bedding often is key! 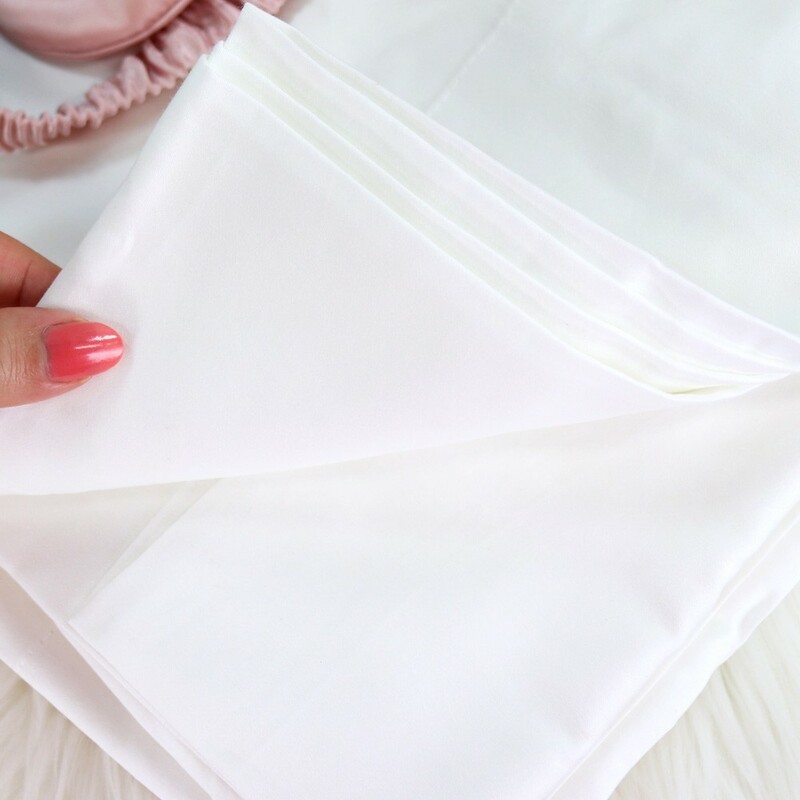 I’ve been sleeping on silk pillowcases to avoid wrinkles–it’s SO important to change them frequently! As an adult I know to change my pillow cases often but I didn’t know that when my skin was actively breaking out. This tip would have solved a lot of misery for me. I was better about it for my sons when they were teens at least. I change out once a week. I am really embarrassed to admit that I change my pillowcases only as often as I change my sheets which is once per week to 2 weeks, depending. Yikes! I suppose keeping a supply of pillowcases near the bed is a really good idea after all. I had actually been thinking just recently of looking for some satin finish silk pillowcases. I change mine about every 2 weeks. How are u getting along with the Emme Diane routine? Are u still using her products? I change at least once a week. Yes! Every time I test something new – I swear I get a breakout. I’m scared to use anything else but I have to because it’s my job! I always use Emme Diane as my base and I’m trying to be VERY picky about ingredients nowadays! Hi Gloria – I don’t know you personally but at one point I did go through and block those who seemed to be doing a lot of heavy contest follow/unfollow. I unblocked you on Twitter. Actually, I change my pillow cases about once a week….when I change the sheets. 🙂 Thank you. I change my pillow cases when I change my sheets, once a week (allegedly, lol). Thanks for the giveaway! Thank you! 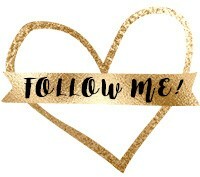 I am 67 yr old disabled senior who does spend a lot of time on line entering contest, watching videos and reading blogs. But the one thing I don’t do is unfollow people. I did some checking on twitter I follow almost 5,000, I read a blog recently and they were writing about people entering contest and then un-following. Usually change mine weekly but now I will do it more often! Definitely not often enough – probably every 2-3 weeks! I change my pillowcases about once a week. I change mine weekly with the sheets. I change my pillow cases every time I do laundry. When I buy sheets I always buy a couple sets of matching pillow case so I can change them every 3 days. I change my pillowcases every two weeks. I change them about once a week. I usually change the pillowcase once a week. Accck! Only once a week if we are being honest. I change them every week. I am not that great at changing my pillowcase frequently. I wash our bedding maybe once every two weeks (Yikes!). I know this has to be terrible for my face and I struggle with acne as an adult as well. I really don’t know what happened because I didn’t really have it during my teenage years. I change my pillow cases every 2 weeks. I change my sheets once a week. But this is a fantastic tip that makes so much sense. This was a good tip. Most people focus solely on skin care products when there are other factors like this along with diet choices, that can affect acne prone skin. I don’t have acne but I was a day spa owner for nearly 20 years so I have treated quite a few people with this condition. I never thought about recommending that they change their pillow cases. Another option is to have several pillows and rotate through them. I personally only sleep with one pillow, but I like to have others for decoration. This allows me to have several pillows stocked up and ready to go. Oo! I’ve often heard that pillow case changing regularly would limit acne.